Did you know that shoppers begin searching for “Christmas Gift Ideas” as early as August? Yet many retailers don’t start planning until the month of December. Here’s a guide on how to get one created for your ecommerce site. 1. Know the key dates. You can’t prepare for them if you’re not aware of what they are. 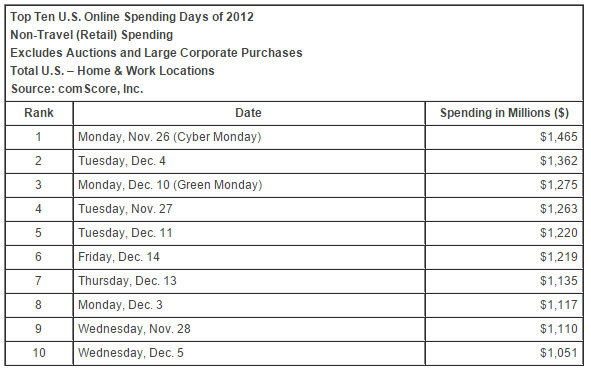 Here is a list of important shopping holidays to get you started. Most of these dates should be fairly familiar to you, but here are definitions for some of the less straight-forward ones. Black Friday: The day after Thanksgiving, it’s the starting day of the Christmas shopping season for many consumers. Retailers – both online and offline – woo people to their stores with steep price cuts. 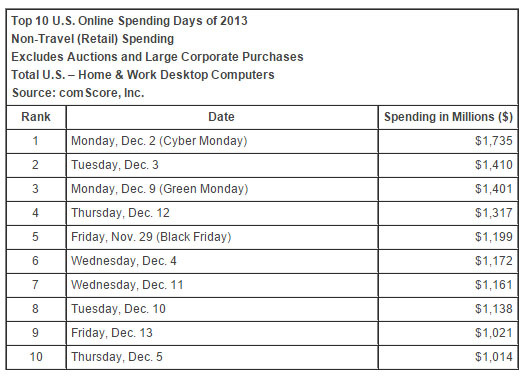 Cyber Monday: This is the number one shopping date for online retailers. Again the key is deals that draw people in. Green Monday: The holiday for procrastinators – it’s the last Monday before Christmas and often it also coincides with the shipping cutoff date to get a package by Christmas which was standard shipped. Free Shipping Day: It’s an annual date where merchants offer Free Shipping as well as guaranteed delivery by Christmas Day. If you want to participate, you can sign up here. Super Saturday: The last Saturday before Christmas, it’s considered by many to be the last day of the Christmas shopping season, and many retailers offer one-day discounts to increase sales and sell off holiday-related items. 2. Decide which days to focus on. You probably noticed that the above list includes 11 holidays in just a little over a month. Trying to create a promotion around each date would be crazy – and also overwhelming and confusing for your customers! Instead, you want to focus on 2 to 4 dates. So which are the best to focus on? It depends on your specific ecommerce business, but let’s take a look at how much consumers spent online during the last two years. For most online retailers, Cyber Monday and Green Monday are no-brainers, and while Black Friday is not as consistently high-performing for ecommerce sites, it’s also an important date for ecommerce to consider. 3. 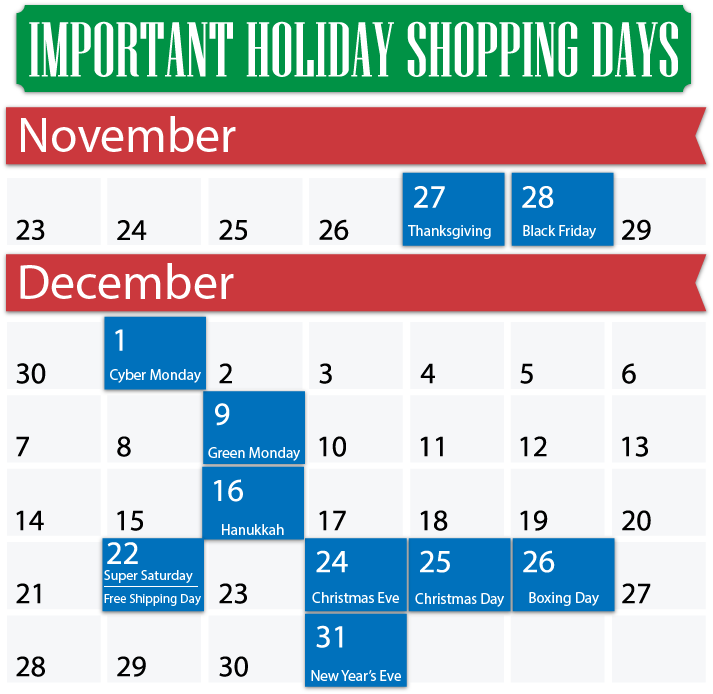 Choose the right format for your promotional ecommerce calendar. The goal of a promotional ecommerce calendar isn’t to look nice. After all, it’s for internal use only. Instead, you should focus on two things: clarity and usability. There’s no right or wrong answer for the format to choose. You need to find a format that works best for your organization. Let’s look at pros and cons for a few options. Programs like Basecamp and Asana help coordinate your team’s efforts in one place and set deadlines for individuals or departments. There’s accountability. These programs make it easy for team members to track their progress, which makes it easier for you to see the overall picture. This option is generally best-suited for large teams. While they aren’t overly complicated to use, there is a learning curve. If you’re not already using software, it may be too much effort for something you’ll only use for a few months. Most have a cost attached to them, so it’s also a monetary investment. These programs may actually provide more than you really need, complicating the process rather than simplifying it. It’s a free, simple, and easy solution to set up. You can use colors to differentiate different department or individual responsibilities. This is a good solution for a medium-sized team, which may include some freelancers outside the office. There’s no way to track progress on individual tasks. There’s absolutely no learning curve, just a document to look at. This is a good solution for a very small team of just a few people. It’s harder to make changes. You’ll have to distribute a new calendar and ensure everyone’s working from the right draft. It’s worth repeating that there’s no right or wrong answer here. The key, especially this close to the start of the season, is to get something up and running. 4. Start filling in the promotional ecommerce calendar. Those key dates you decided to focus on. Make them stand out on the promotional ecommerce calendar in ALL CAPS or an attention-getting color. Dates to update and remove graphics. For instance, you’ll want to add banners to promote the events as well as change out certain images for more holiday-themed ones. Dates to post and remove copy related to promotions. This includes home page features, blog posts, and social media posts. Dates to send email marketing promotions. These can be key drivers of sales this time of year. Dates and times to start and stop promotional pricing in your shopping cart. Many people overlook this and keep promotions running too long or don’t start them when they should. Times can be important for shoppers who may be angry if they arrive on the site during a day the promotion was going on, only to find that they are a few hours late. Dates to start and end PPC campaigns. If you’re promoting specific deals through pay-per-click, then you want to ensure they get up and down at the proper times. Important shipping-related dates. You want to ensure your shipping department understands that orders placed on certain key dates must get out the door that day. If that’s not possible, for whatever reason, you want to expedite packages that weren’t sent on that day to ensure they arrive when customers expect them. First draft and approval dates. 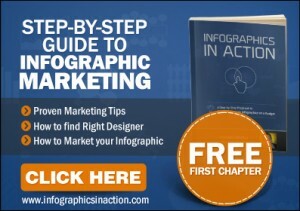 If your graphics, copy, and other marketing materials have to go through an internal review process that takes time, list the dates that first drafts must be submitted as well as the date that any feedback must be received. This can help prevent scrambling at the last minute, which can lead to errors. A date (or dates) for reporting or final review data. A post-holiday review is a wise investment of your time and effort, and it’s a good idea to involve your whole team. Celebrate together – even if something didn’t go perfectly, acknowledge your successes and the hard work and effort put in. Then talk to departments or individuals separately to get feedback on any obstacles or problems that arose. Then share analytics, so you can get their input on what they believe worked and didn’t this year. It can be tempting to do this in a group setting, involving everyone, but you’re more likely to get honest feedback and avoid territorial battles by keeping it informal and private. Looking for some ideas on how to prepare your strategy for Black Friday and Cyber Monday? Read my article here. 5. 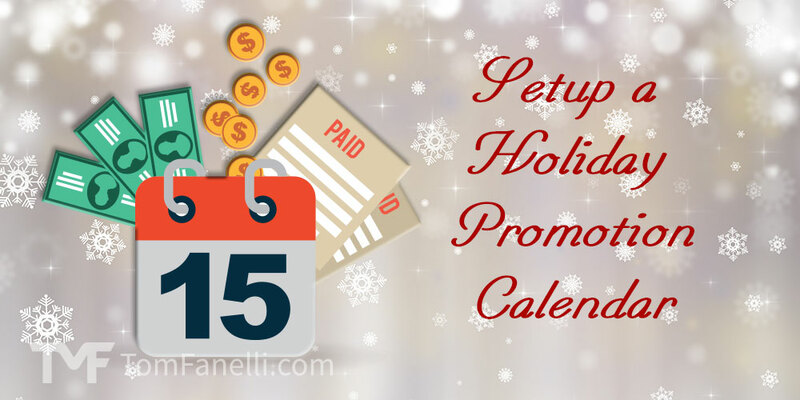 Consider making that promotional ecommerce calendar year round.